(Lcation cited as NT 159 480). 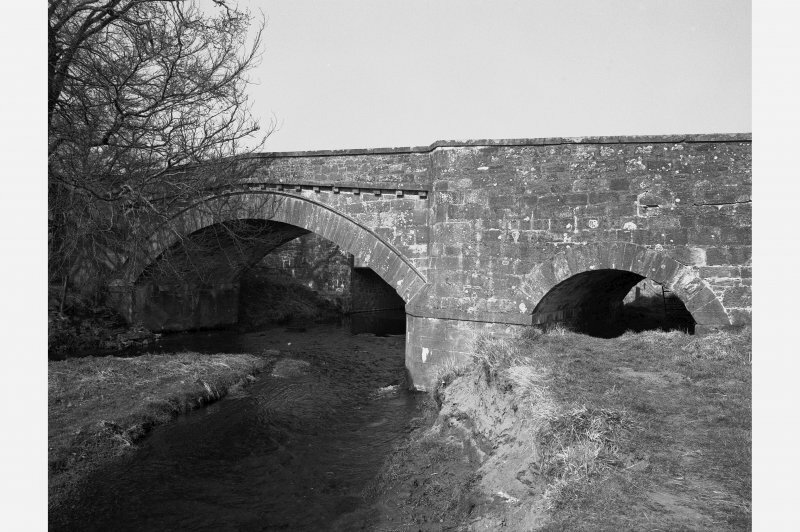 Romanno Bridge, built 1774. 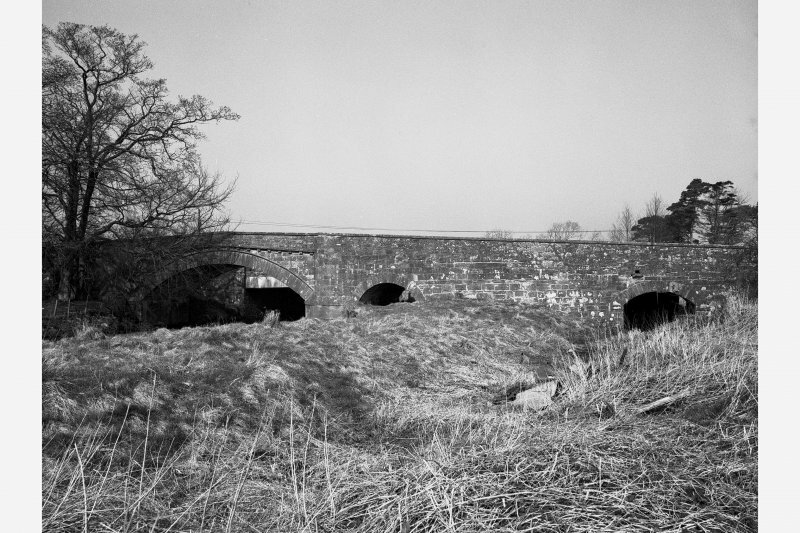 3-span bridge with large segmental arch and 2 much smaller (1 arch spans a lade). The main span has a dressed-stone arch ring and a dentilated string course.